Devoted recyclists and tree-huggers, listen up! 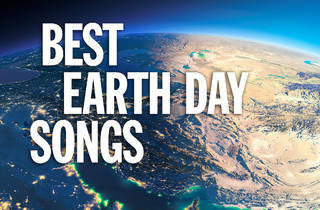 Earth Day is nearly upon us and there are plenty of great things to do outside. We know you focused on going green for St. Patrick's Day, but it's time to trade the boozed-up shamrock shakes for an opportunity to volunteer in NYC. 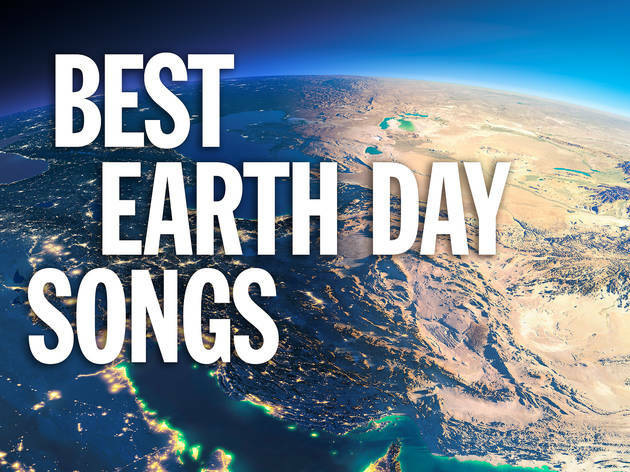 The city's main events include a Union Square parade followed by a free gig, and to get you into the spirit, we assembled a list of our favorite ecologically-minded Earth Day songs—and no, fortunately for you, we didn't include "Waiting on the World to Change." When otherwise apolitical songwriters turn their creative sights on hot-button issues, it's not uncommon for lyrics to veer into lifeless, blunt "messages." Fortunately, Pixies frontman Black Francis is too obtuse a guy for that trap. A dead guy in the ocean crushed by sludge? A creature in the sky sucked down a hole? Mixing the band's characteristically corrosive guitar-work with understated strings, this single weaves its way through surrealist images—Hebrew numerology, deceased primates and all—to fashion a wonky portrait of environmental destruction. On the surface, the lead track from Cat Stevens's iconic 1970 smash, Tea for the Tillerman, seems like the quintessential tree-hugging hippie anthem. But there's a wryness ("Switch on summer from a slot machine") and ferocity (the chorus belt at 3:16 takes on an almost frightening intensity) to his delivery that sets it apart from your average coffeeshop harangue. Besides, that title inquiry is still a pretty damn relevant one for us city dwellers. The master songsmith could've turned her anti-development classic—inspired by a "blight on paradise," a monster parking lot she spied outside her hotel during her first visit to Hawaii—into a preachy rant. But instead she opts for a breezy, upbeat feel and jabs of offhanded satire: "They took all the trees, put ’em in a tree museum / And they charged all the people a dollar and a half just to see ’em." She even works in a kiss-off to a departed lover, suggesting that her "You don't know what you got till it's gone" refrain applies to more than just natural beauty. Existential angst and loveless relationships tend to be the lyrical ground tread by Depeche Mode, but on the band's third studio album, Construction Time Again, the icy British synth-poppers upped the ante: poverty, nuclear weapons, national revolution, oh my! We guess the guys got tired of sweating the small stuff. Straight out of the gate, the beginning lines to this political paean make its particular point clear: "The landscape is changing / The landscape is crying / Thousands of acres of forest are dying." Sometimes it's best to be straight-forward. Sure, you know what you’re gonna get with an Antony song—that it’s unlikely to be an electro banger, rather it’ll be sad, soft and sensitive. But “Another World” (2008) is laceratingly lovely, with the singer offering a simple declaration of the things he’ll miss once they’re gone. Listen, sniffle, then go recycle that Kleenex.